When properly cared for, palm trees provide lovely foliage. In the hearts of many Southern Californians live our love for the glorious palm trees. It signals home after traveling out of state, where many of the cold weather areas cannot keep these magnificent plants outdoors. But here, they line residential streets, stand majestically by buildings and seem to pop up in any nook or cranny on the side of the freeways. And no wonder. The modern day palm started 69-70 million years ago, adapting to climate changes, all the way into today’s world where it flourishes and thrives in our warm desert coastal climate. Palms can be divided into two major groups, those that are fan-shaped and those that are feathered shape. All palms are tropical in nature, but each species has different tolerances to the cold. Their love for humidity and heat make many types of palms difficult to keep indoors. Luckily there are some that do very well indoors to provide lovely foliage for the surroundings. 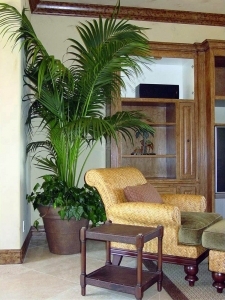 With beautiful fronds (leaves) and dramatic stature, the palm is the most popular indoor plant and finds its way into many buildings and homes. With over 3,000 different species of palm, choosing the right one can lead to successfully maintaining a palm tree indoors. Kentia Palm (Howea forsteriana) or Thatch palm is a native of Lord Howe Island off the coast of Australia. This elegant palm can stay a deep green in low-light conditions and tolerates cooler temperatures. Kentia palm is an elegant plant for the indoors. Though a slow growing palm, it can reach heights of 33 feet and 20 feet wide in its native habitat. Fairly resistant to mites and mealy bugs, as well as to the effects of low humidity due to their thick leaves, the palms also are drought tolerant. They can sit in pretty dry soil periodically without withering. Despite its hardiness, kentia palms do their best with plenty of light, water, humidity and air flow. Lady Palm (Rhapis excelsa) is almost as hardy as the kentia regarding drought tolerance and spider mites, but does not do well in low light conditions or direct sunlight. Keep in bright indirect sunlight. 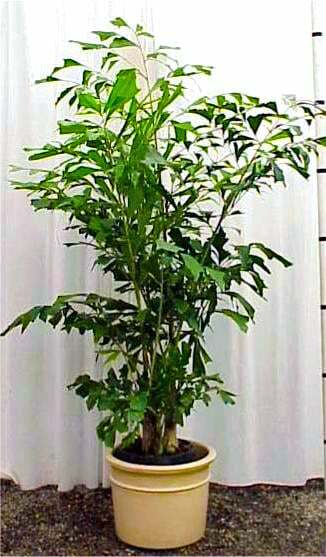 Some cultivars of the Lady Palm have high highly ornamental variegation and do well as a house plant. Parlor Palm (Chamaedorea elegans), though originating from the dense and humid jungles of Mexico, is extremely drought tolerant. It too is slow growing with feathery palm leaves that tend to curve upwards. Low light situations are ok for this plant, but they still are highly sensitive to spider mites and dry locations. 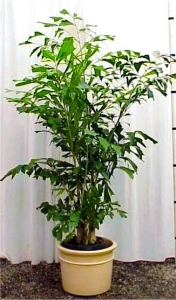 Fish-tail Palm (Caryota mitis), if given plenty of light, water and some regular misting, this plant can be a wonderful addition to indoor greenery. An Asian species that is a moderately fast grower outdoors, it tends to be sensitive to spider mites, low humidity and dry soils. Most palms like bright indirect lighting. For direct sunlight, early morning sunlight won’t burn the fronds and gives the palms the type of light they love. When a palm meant for bright light is kept in continually low light situations, it causes them to form skinny long fronds and become more prone to parasites. Palms prefer warmer climates, but too much dry heat causes leaf damage; and if soil drys out, root damage. Do not place in front of heaters or air conditioners because after a time, their tips will turn brown from lack of humidity. 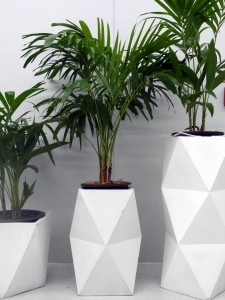 Decorative containers can finish the look of any palm. Most tropical plants, including palms, like a regular watering schedule fairly frequently as long as it is in well-draining soil. The more water a palm receives without sitting in soggy soil, the faster it grows. Palm trees that are not tropical in nature can rot with a careless watering schedule. If using a drip, try to collect water from the potted plant, and be sure to drain the water. Palm roots do not like to sit in water. About 3-4 months it is a good idea to leach a potted palm due to the heavy salts contained in tap water. Take the plant outdoors and thoroughly water it to rinse off the accumulated salts in the soil. Using distilled water helps with the salt buildup, but still needs a rinse out every so often since fertilizers cause salt build up as well. 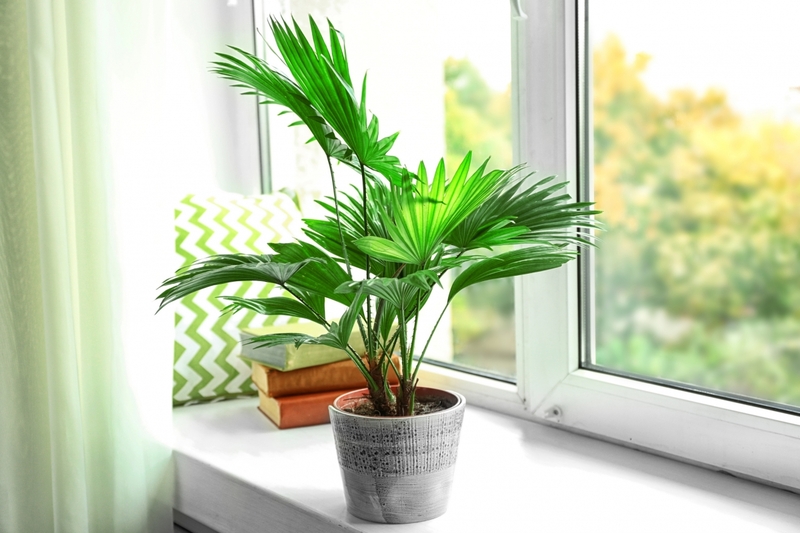 Though most outdoor palms require a good dose of fertilizing, indoor plants living their life in a pot with less light, less heat, less humidity and cramped roots grow much slower and their needs for feeding are a lot less. Over-fertilizing and burning the roots are a common problem with keeping indoor palms. Once a year fertilizing in the spring should be sufficient. A good high-quality rose fertilizer contains a good nutrient balance. Lady Palm needs bright indirect lighting. Palms love humidity. But if indoor environments were up to just 50% humidity, palms would love it, but the walls and books would be moldy and rotting before long. 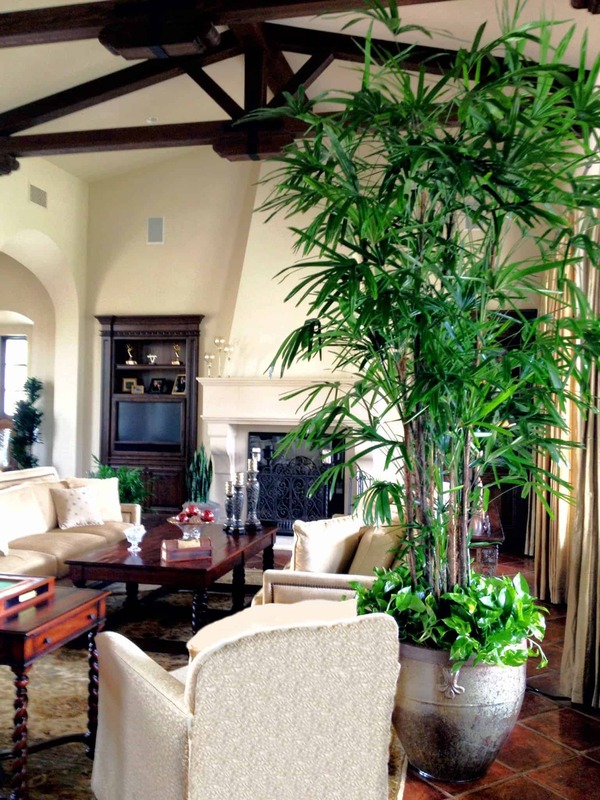 Choose a palm that does well with low-humidity for greater success with misting. Mist every couple of weeks for humidity and washing off dust that can clog their pores. Note, even regularly misting palms meant for high humidity is ineffective and they would eventually succumb to the drying affects of low humidity on their sensitive leaflets. Poor circulation is terrible for most plants, but especially palms. Unhealthful air quality allows infestation of mites and insects to target the delicate fronds. Make sure palms are placed where air circulates freely, but no direct breezes from windy open windows, air ducts or circulating fans. Only re-pot palms if they really need it. Indoor palms usually outgrow their pots in about two years. Palms do not mind being root-bound in a pot unless there is more roots than soil. It’s best to keep the palm in the plastic container and place the pot in a ceramic container that has ample room. When the plastic breaks from the root growth, re-pot in another plastic container. Over-potting a palm in a pot too large for the size plant allows the roots to stay to wet and rot. When re-potting a palm, do not mess with the roots by cutting or pulling it out of its shape. If it is the shape of the old pot, that is just fine. Just put the whole rootball into the new pot and fill the soil around the roots. Water thoroughly right after and continue watering frequently for a few weeks. Good type of soil to use is half peat moss and half perlite. The pot should always have a hole at the bottom for drainage.